"Ah Moustafa" is always a hit with Greek audiences. Many artists, including newer generations, still sing it today. 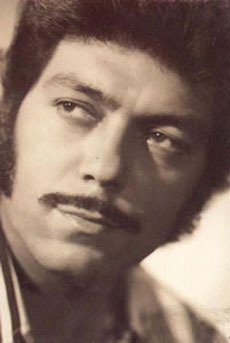 This page contains a translation into English of the lyrics to the popular song "Ah Moustafa" (Αχ, Μουσταφά), which is the Greek version of the song "Ya Mustapha" popularized by Bob Azzam. The Greek version was sung by Yiota Lydia, Manolis Aggelopoulos, and Stratos Attalidis (Tertseto). Also included is a pronunciation guide for the Greek lyrics so you can sing along if you like. ABOUT THE PHOTO: Manolis Aggelopoulos was one of the original trio of artists who created the original Greek-language recording of this song. His big break came in 1959 when he recorded his first 45 rpm vinyl record, bringing the mix of Greek-Gypsy-Arabic fusion into the Greek music scene. For Greeks and Greek-Romany he was a superstar. His funeral in 1989 was massive, and people cried for three days. Yiota Lydia, (sometimes spelled as Giota Lydia) was the stage name of Panayiota Mantaraki. She was born in Greece, in a Greek Anatolian refugee district known as Nea Ionia, on February 24, 1934, and came from a family of singers. Her	parents were refugees from Smyrna, which today is known as Izmir in Turkey. Lydia began her career as a singer at the young age of 11, and she became one of the most renowned singers in the laiko genre of music. She married her husband, Stratos Attalidi, when she was only 14 years old. He was also an artist and composer, and he promoted her career as a singer. Lydia has been a very prolific artist, known for her work as a recording artist. She recorded over 1,000 songs of all musical styles, on 350 record albums. Her final album, Kathara Kai Xaspera, was released in 1986. Yiota Lydia married Stratos Attalides, and they often appeared together as a duet act. They had a son name Stavros. ABOUT THE PHOTO: This photo shows Yiota Lydia and Stratos Attalides. El Fanous el Sehri (The Magic Lantern), 1960, as Naemet Mokhtar dances. From Egypt, sung in Arabic. El-Hobb Kedah (Love Is Like That), 1961, sung by Bob Azzam. From Egypt, sung in Arabic. Ya Mustapha! A Song Conquers the World!